Forget spending hours excessively exercising, we’ve got more evidence that maximizing the time you spend working out won’t fast-track your fitness. It’s quality over quantity that gets results. Now more than ever in human history there are tons of options for working out. In spite of that, there are now also more obese people, more injured people, more people with poor body images. And the answer we hear most often is that we need to work out more, but is that really the case? A recent study looked at three groups of individuals doing the same workout, varying the speed of the exercise. For example, one group did a chest press for two seconds on the way down and four seconds on the way back up; another group did 10 seconds on the way down, 10 seconds back up. Every group did their workout to momentary failure. The shorter duration exercisers did more reps than the slower exercisers, but all of them spent approximately the same length of time under load (about 90 seconds). The researchers found no significant difference in strength gains between the three groups, even though the slowest group was only doing 1.5 reps of each exercise. You read that right: ONE AND A HALF reps at 30 seconds each way. In another study three groups of experienced lifters were put through the same regular workout, with the only difference being the volume of exercise: one group did a single set, the second did three sets, and the third did five sets. They all used a weight that took them to momentary failure after about 8 to 12 reps. The researchers found that all the participants experienced the same strength gains, even though the single set only took about 17 minutes to finish, and the five sets took about 70 minutes to finish. If you work out to the point of momentary failure, you will get stronger, regardless of how long you work out. 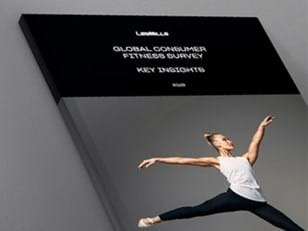 This is one of the reasons I love Les Mills BODYPUMP. 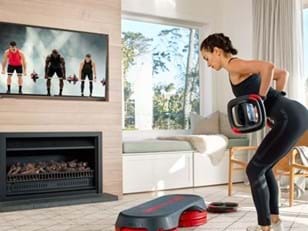 During a BODYPUMP workout each muscle group is given anywhere from three to six minutes of isolated work. Whenever I take the class as a participant, I focus on maintaining perfect technique every rep and I select a weight that takes me to momentary failure by the time the workout for each muscle group is done. That’s been the recipe that I’ve used to get stronger and accomplish my goals. Keen to learn more about the risks to too much exercise? Read about how to identify the signs of overtraining. 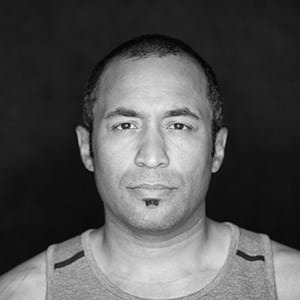 Alex Hernandez is a North Carolina-based BODYPUMP and LES MILLS GRIT trainer who also teaches BODYCOMBAT, BODYJAM, and BODYBALANCE. He is a proponent of purposeful training to improve movement and performance, embraces the idea of the unsteady state, and as a master trainer for Trigger Point Performance, he regularly shares his expertise in self-myofascial recovery. He is also a mechanical engineer.